We Love Summer Salads & The Habit Does Too! Huge fans of The Habit, I get really excited about their Summer salads, now my kiddo does too! Have you tried salads at The Habit... their charburgers are not the only thing we crave in this house. 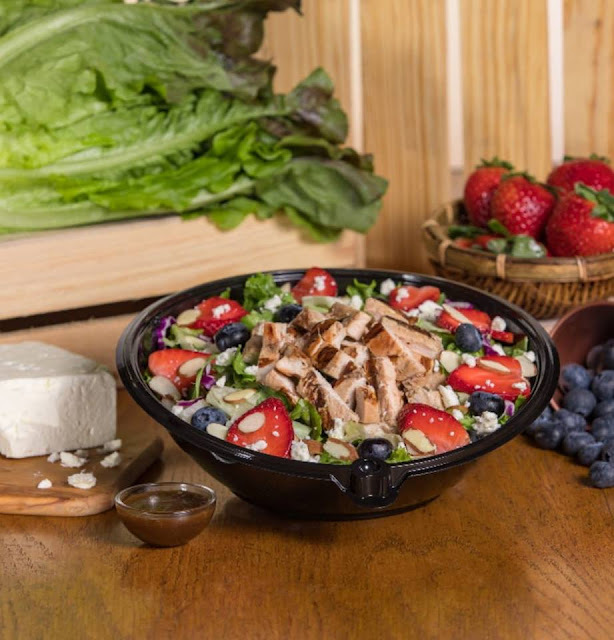 The Habit Burger Grill, an Irvine based restaurant company renowned for its award-winning Charburgers, introduces its new refreshing summer salad, the Fresh Berry and Toasted Almond Salad with Chicken. The limited time special is available now through August 21 at participating Habit Burger Grill locations for $7.95.